On this day last year, pommy_ch, lamb0 and this correspondent were the 3rd, 4th and 5th person to have a beer on Hemingway’s first public opening night. A year later, this correspondent and BotF most infrequent correspondent – aka l0der – snuck in for a quick anniversary bevvy. The Hemingway’s boys have done well. The place thrives and they have stayed true to their original formula. As was wrote at the time, the boys had a pretty simple approach to beer – two taps with two quality beers. 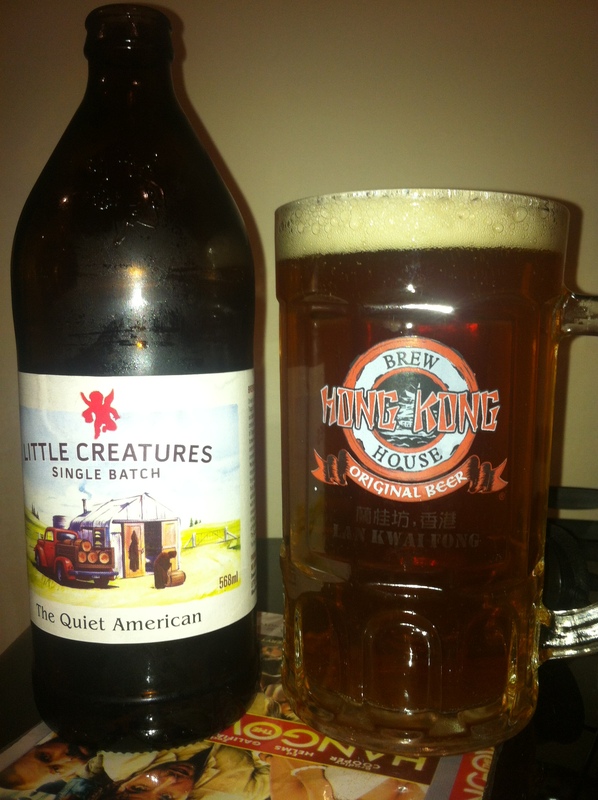 The Little Creatures Pale Ale remains the house beer, but they turn over the other tap from time to time. Luckily for manly drinkers their current second tap is the latest in the Little Creatures Single Batch range – “The Quiet American”. More on that later. 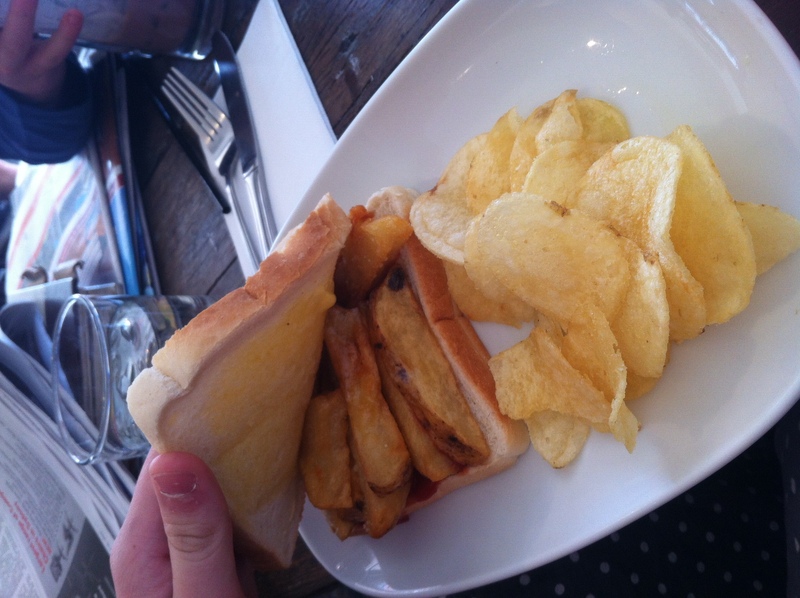 The food is quirky and a hark to older times – but is damned tasty. 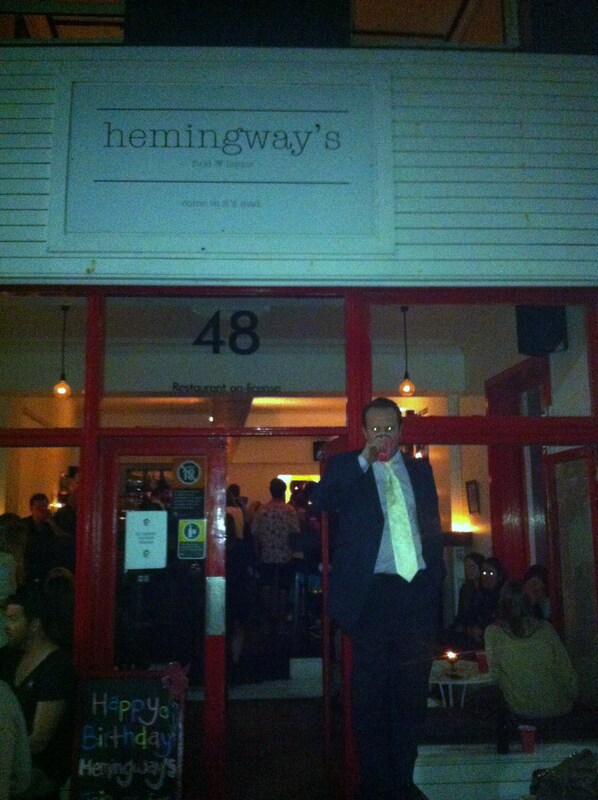 It is great to see a small business survive the first 12 months and Hemingway’s was packed tonight. Free Little Creatures Pale will do that – but the crowd looked like kicking on. The Little Creatures Single Batch series has produced some absolute rippers. The Big Dipper was probably the highlight – but they’ve all been good. They might have topped everything with their latest – “The Quiet American”. According the “Brewers Scribble”, LC have combined the best of a Trappist style with US style hoppiness. As an aside, I was travelling in Italy with a great mate in ’89. We were in the Sistine Chapel looking upwards at the famous ceiling when the awestruck silence was cut asunder by the strident tones of an American tourist who asked “Hey Walt – do you think they originally built this as a tourist attraction?”. Quiet American indeed. This is simply awesome, it is Trappist and Hoppy at the same time. 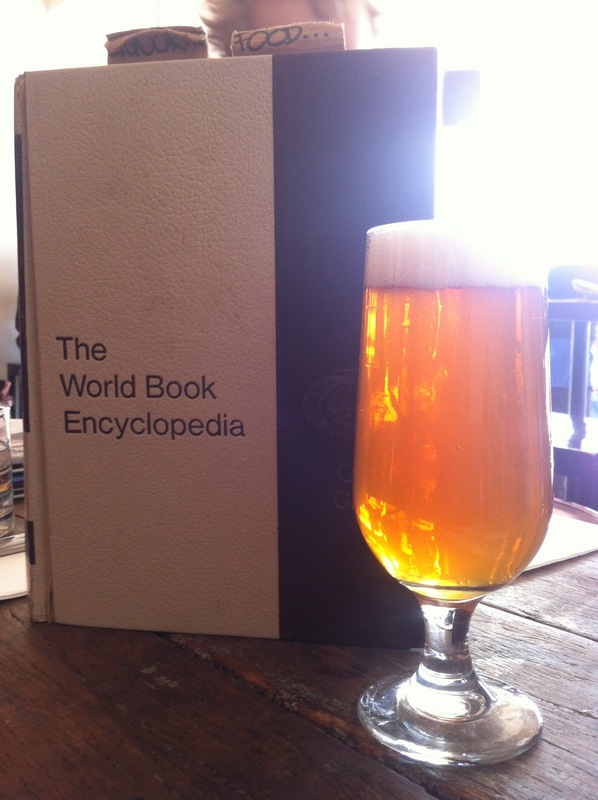 It is a meaty sipper and beer hyperbole aside – actually lives up to the Brewer’s promise of being “thought-provoking”. 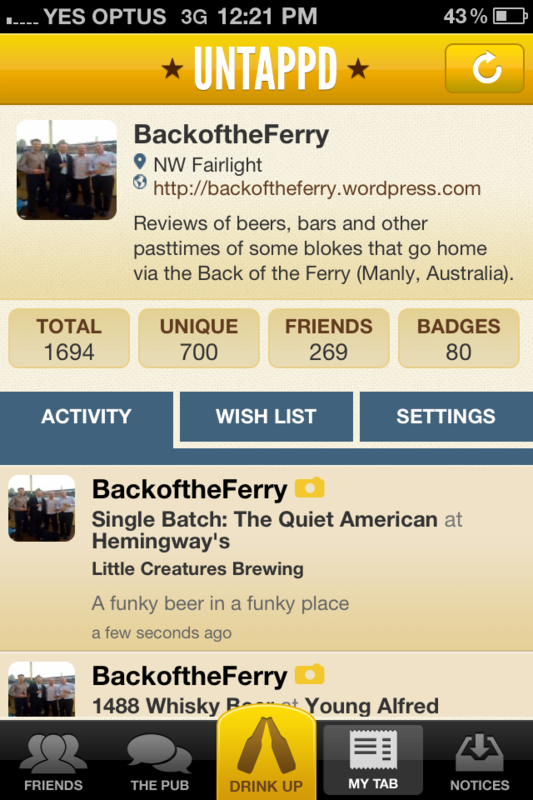 I enjoyed the Quiet American on tap at Hemingway’s and it was the 700th unique for BotF on @Untappd. Now in cricket, a fast century is applauded. We passed 600 on St.Paddy’s Day. It’s taken less than 2 months for us to hit the 700 mark. That is Gaylesque in speed (amazing what a trip to a new country will do). Some boys at Good Beer Week in Melbourne may have done 100 in a day – but 100 uniques in less than 60 days is pretty cool. Our first century was quicker – but that was like shooting fish in a barrel. We might struggle to keep this pace up.